Avoid costly mistakes and get exactly the upgrade you want for your home by working with a professional remodeler. Lifestyles evolve over time, and so do our homes. Babies are born; kids grow up and leave the nest; aging parents join the household. And even if a house functions just the way it needs to, changing design trends and new materials can leave older spaces looking a little musty and dusty. That's where a professional remodeler comes in. Read on to find out what a remodeler can do for you and how to get the most out of your experience. What a remodeler does: A remodeler is a contractor with a focus on making structural alterations to an existing home or building. He or she implements architectural plans and sometimes provides residential design services. Remodelers also perform many of the same duties as a general contractor, such as hiring and overseeing subcontractors and sourcing materials. Many states have certification requirements for remodelers. When to hire one: If you're planning a significant change or addition to your home, hire a remodeling contractor to ensure the integrity of the design and construction, and also to ensure that you'll meet current building codes. Remodelers also are well versed in cost estimating, legal issues and other nuts and bolts concerns. What it will cost: Remodelers' fees take several different forms, and costs vary widely depending on the nature of the work and the materials used. While some will agree to a flat fee, others charge a percentage of the total labor and materials cost (typically 10 to 15 percent, but sometimes as high as 25 percent). It's worth noting that, as with many aspects of home improvement, you get what you pay for - a remodeler who may charge more but has deep experience and a sterling reputation is generally worth the extra cost. Don't hire based on the lowest estimate alone. 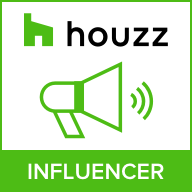 Where to find one: Browse the directory of professionals on Houzz.com or use a reliable source such as the National Association of the Remodeling Industry (NARI). Check to see if there are remodelers' trade organizations in your area as well. Another professional you're working with, such as an interior designer, also may be able to give you leads. If you notice that one of your neighbors is having work done (remodelers often place a sign with their name and logo in the front yard during construction), ask whether they'd recommend the professional they've hired. Have a clear idea of what you want: Maybe you're looking to double the size and change the footprint of a dated kitchen, or perhaps you want to convert your attic into a guest suite. Think through the scope of the project you have in mind and create a Houzz ideabook or pull other design resources for inspiration. Don't worry too much about whether every detail is feasible; your remodeler will help you brainstorm alternatives if it isn't. Interview the candidates on your short list: Not only should you confirm that they have experience with the type of project you have in mind, but you'll also want to be sure that you have a good rapport and communicate well. Ask detailed questions about job history, professional training and affiliations, licensing requirements and insurance, and get the names of a few references. If lead paint is a concern in your home, you may also need to confirm that the remodeler is lead-safe certified under EPA guidelines. Visit an in progress job-site (if possible): Ask to drop by one of the remodeler's current job sites. This can give you a sneak peek at what your experience might be like. Is the site clean and well maintained, and does work appear to be progressing in an orderly fashion? Look closely at the quality of the construction and the attention to detail as well. Be sure you understand the terms of the contract: Once you've chosen a pro, go over the contract in detail to be sure you won't encounter any surprises. Besides basics such as contact information for the remodeler and others who will be supervising, license number, insurance information, it should include a start-to-finish timetable, a materials list with price breakdowns, payment terms, change order specifications, blueprint or detailed sketches and provisions for conflict resolution. Don't be shy about asking the remodeler to clarify any details you find confusing. Confirm which areas of your home the project will affect: You may be remodeling a single room, but the temporary disruption could extend to adjacent spaces. Plumbing, electrical wiring and other behind-the-walls systems might be affected as well. Ask the remodeler which rooms the work will touch so that you can prepare accordingly. Do your part to make the remodeler's job easier: Clear out furniture from affected rooms, be sure the work crew has adequate space to park and transport materials, and make provisions to keep pets and kids well out of the way. Give the remodeler an idea of your family's daily schedule and stick to it as closely as possible to minimize disruptions to the workflow. Make sure you're easily reachable even when you're not onsite. And if you decide to make a change along the way, try not to drag out the decision-making process, which can throw the timetable significantly off schedule. Don't wait to call attention to issues: Few, if any, remodeling jobs reach the finish line without a few bumps and snags along the way. Speak up as soon as a problem arises, whether it's substandard work quality, a communication breakdown or a subcontractor who leaves the site in disarray. That way, you and the remodeler can agree on a plan to resolve it as soon as possible, before work proceeds too far - and you'll feel reassured that you'll be completely satisfied when it comes time to make the final payment for the job.